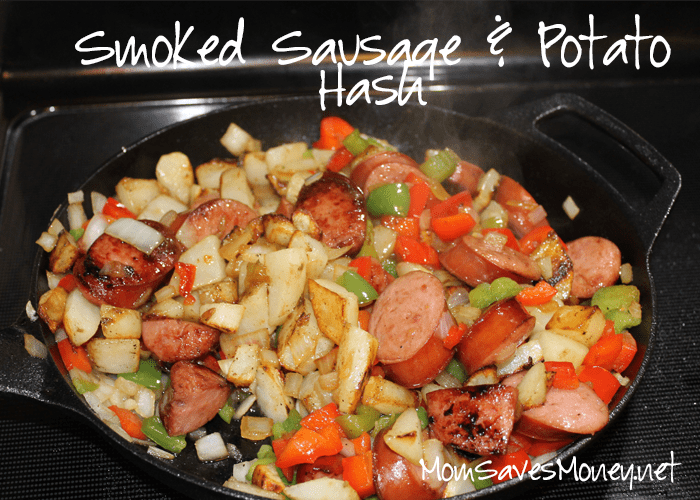 Recipe – Smoked Sausage & Potato Hash! Plus, More Ideas for Your Meal Plan! Well, we’re moving. Again! We just moved 18 months ago and it was then that I vowed that I wouldn’t let my stockpile get too crazy. I FAILED! I’m doing well on food, especially frozen foods (since the great freezer clean out! ), but I have gotten too carried away with diapers. I literally have over 3,000 diapers in my house. Tis insane. Yes, I have 3 boys that wear diapers (to some degree – one just at night), but still…that’s ridiculous! Looks like I’ll be moving a whole bunch of diapers. Bacon Wrapped BBQ Meatballs – Although this seems more like an appetizer or a party dish, who cares? Anyone who likes bacon and meatballs would be heaven over this dish – even for dinner! Serve it with a side of rice and call it yummy! And both bacon and meatballs are on sale this week. Mini Pizzas – Got lots of time on your hands? Make a pizza buffet with your kids! Just wanna get ‘er done? Make them all yourself. You can use either English muffins or hamburger buns (both on sale this week) for a crust and make mini pizzas in no time. Baked Potato Buffet – Another easy one. Just make a bunch of baked potatoes and your choice of toppings. Are you a ham, broccoli & cheese family? Are you a chili family? Bacon bits and sour cream? Try leftover BBQ chicken too! French Onion Chicken Sandwiches – I’ve been drooling over this recipe, but haven’t yet made it. Will you make it for me and let me know how it goes? Doesn’t look complicated, but looks really delicious. My kind of recipe! This seems like one of those “breakfast-for-dinner” recipes, so the first time that I made it, I was pretty sure my husband was going to side-eye it. Nope! He loved it! It has meat. It has potatoes. It has veggies. It’s pretty much a complete meal all in 1 pot. 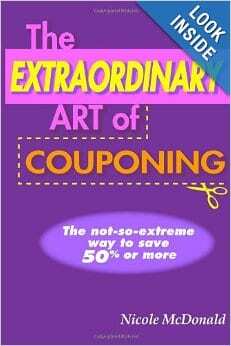 And the ingredients are common and most quite inexpensive! If you got really fancy with it, it reminds me of a potato casserole that you can get from one of those fancy brunch places, just without all the fancy stuff. Like the original author, I found it best to make this in 2 different pans (I, too, like her, use my cast iron skillets), but you can make it in 1 if desired. In skillet #1: heat 2 tbsp of olive oil over medium-high heat. Add the potatoes to the skillet and season with salt and pepper. Fry until golden brown and cooked through, around 8-10 minutes, stirring a few times to ensure even browning. In skillet #2: brown the sliced sausage for around 5 minutes in 1 tbsp of olive oil over medium high heat. Remove the sausage from the pan and set aside. Add the peppers and onions to the skillet and season with a pinch of salt and pepper. Cook for 5 minutes, or until softened, stirring occasionally. Mix everything together. Top with cheese, if using, and let it melt for a bit. Serve nice and hot! Thanks for sharing my recipe. I hope some of your readers save some money on bacon/meatballs this week and get to try it.